Women earn less than men throughout their working lives and the gap is widest in their 50s when they earn £8,504 less per year than full-time men. The analysis, carried out by the TUC using the Office for National Statistics’ 2015 Annual Survey of Hours and Earnings, compares full-time median earnings for men and women across the UK. TUC general secretary Frances O’Grady said: “Women suffer a huge pay penalty over the course of their careers, which peaks in their 50s. At current rates of progress it will take decades for women to achieve pay parity with men. What information will employers be required to publish under the gender pay gap reporting duty? Do employers have to publish an explanation of their gender pay gap figures? “Having children has starkly different effects on men’s and women’s pay, with women earning less after having kids and men earning more. The gender pay gap begins as soon as women start their careers – an 18-year-old woman working full-time earns on average £1,395 per year less than her male counterparts. This increases through her 20s, when a woman earns £1,944 less than a man of the same age, and her 30s, when the pay gap hits £3,034 – meaning women age 30 to 39 are paid £30,340 less over the decade. In workers’ 40s, the gender pay gap leaps to £7,234 a year and peaks in their 50s, when it hits £8,504 a year. The TUC believes that the increase in the 40s reflects the different impact of parenthood on women’s and men’s earnings. Research published by the trade union body earlier this year found that at age 42, the pay gap between mums and dads in full-time work was 42%. For childless men and women in their early 40s, it was 12%. Support for more equal parenting roles to stop women being held back at work – better paid leave for dads would encourage them to play more of a role at home and share caring responsibilities with mums. Address excessive working hours in full-time jobs – this would make it easier for mothers who want to work full time to do so and would help fathers to play a bigger role at home. Better support for women when they become mothers – improve opportunities to work flexibly or work reduced hours and more support for women returners. Ensure women are not overlooked for training or promotion opportunities once they have children – employers need to ensure opportunities are not designed in a way that excludes those with caring responsibilities. 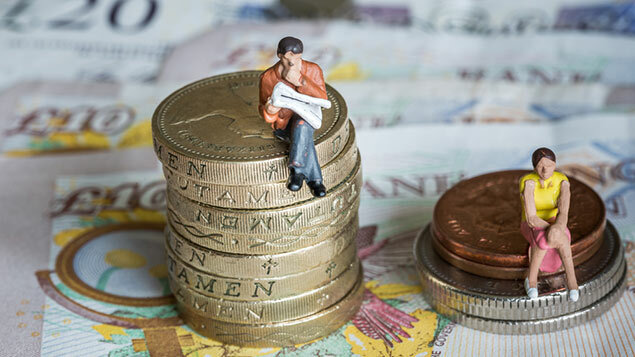 Better pay gap reporting – gender pay gap reporting legislation, due next year, should be strengthened so that employers have to publish action plans. There should also be proper sanctions for employers who refuse to publish this information.